Snapchat effect and backlash are tormenting Snapdeal as well. 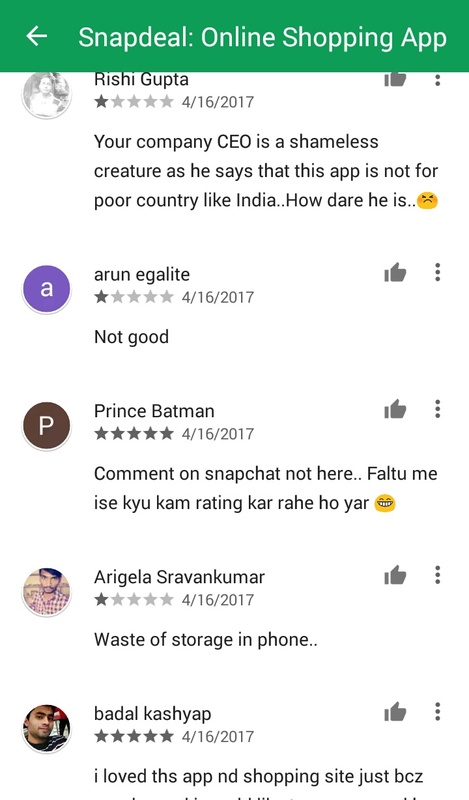 People are rating the app and commenting that their CEO has called Indians poor. It is possible with highly and easily offensible people. 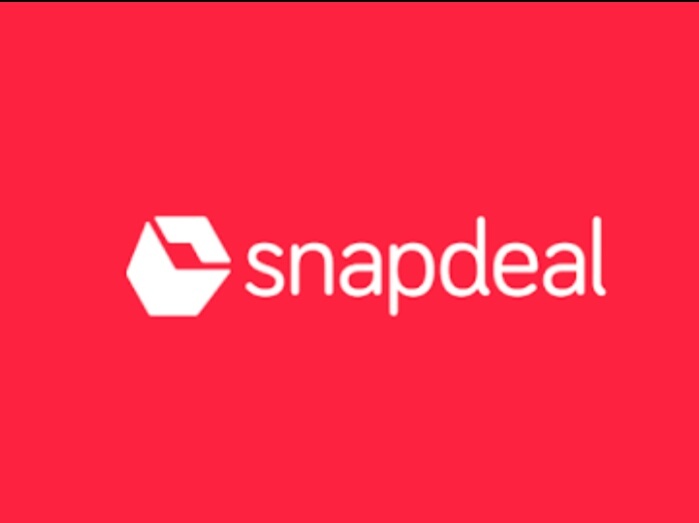 There are people who even directed them that this is Snapdeal is not snapchat but the trend is increasing and it seems that Snapdeal is paying the price and wrath of the customers. This is nothing new for the Indians. 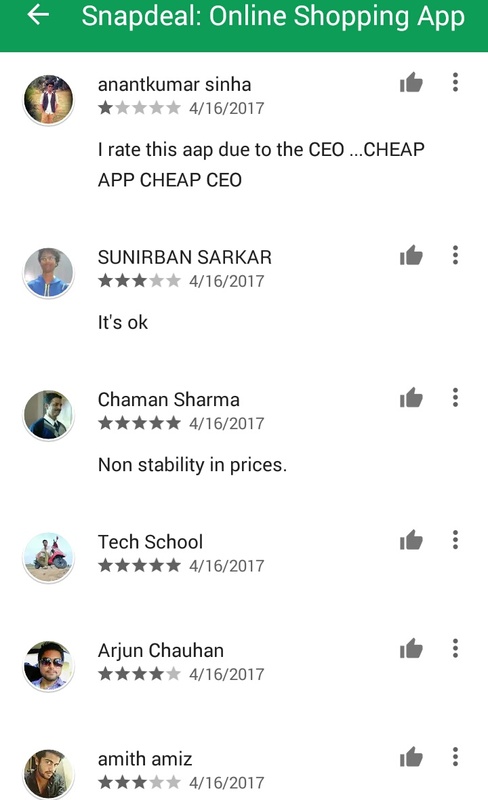 Whenever something controversial comes up, the backlash starts at the Google Playstore by uninstalling the app and rating it poor. Snapdeal has experienced it before when the controversy surrounding Aamir Khan on intolerance heated up. 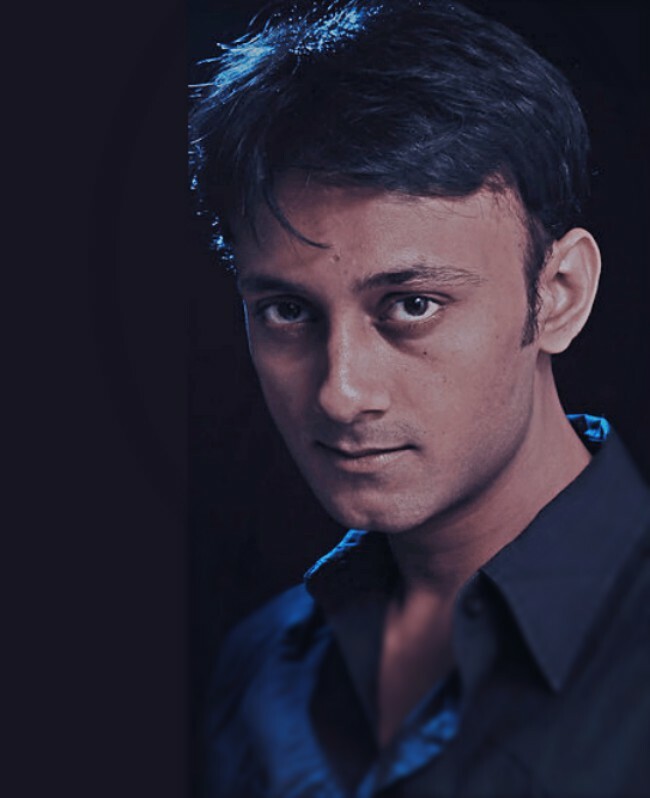 Snapdeal was almost forced to remove him as the brand ambassador. However, this time Evan Spiegel allegedly said that Indians are poor and Snapchat is for rich people, Snapdeal is facing consequences. 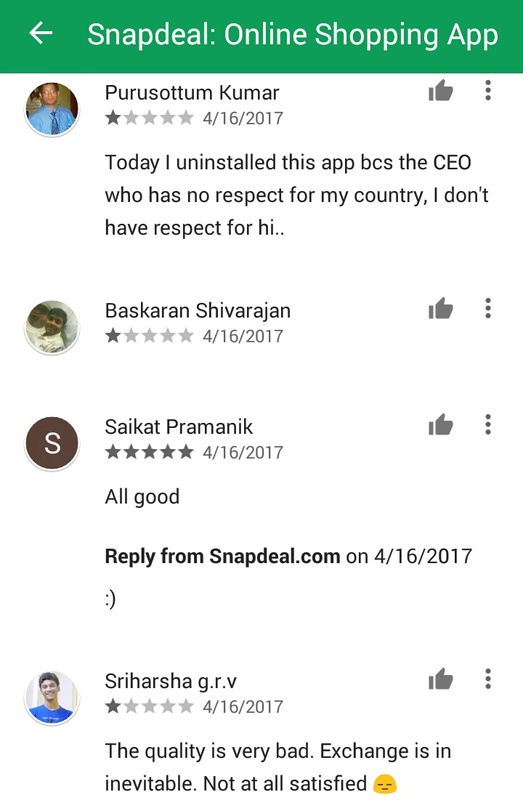 Users have targeted Snapdeal due to similar name and has accused the CEO for Anti India comments. 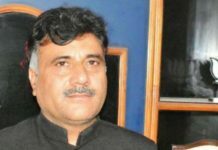 It has also accused the brand for making deregatory comments such as Poor Indians. 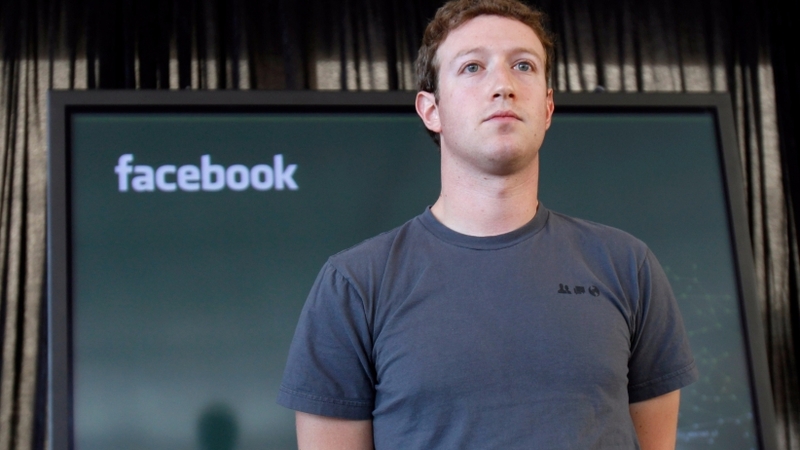 Well, the case against Snapchat is not official first of all. Social media is already trending with #boycottsnapchat but the #boycottsnapdeal is just freaking. 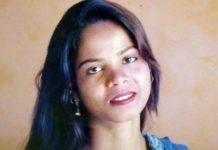 There is no proof that Evan Spiegel made such comments but the issue has now taken serious turns of events. 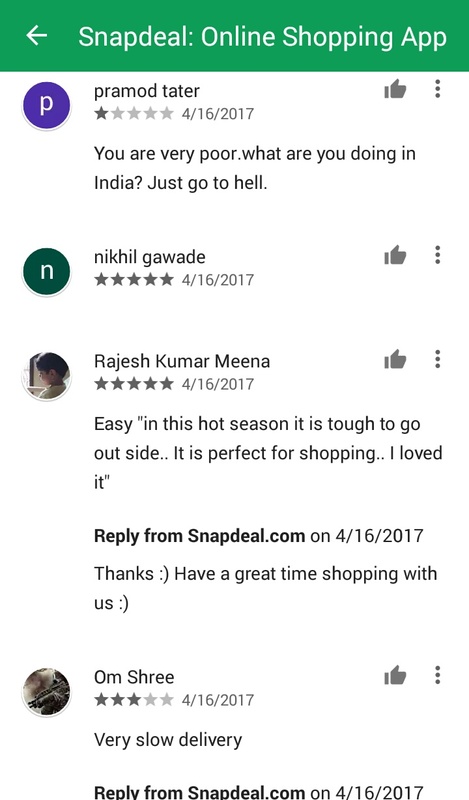 Here are some of the screenshots of the reviews of the Snapdeal Reviews page in Google Playstore. The story will be cleared.